This is the most comprehensive guide to Singapore Savings Bonds (SSB) you can ever find on the web. We have included reviews, latest interest rate, investment strategies and step-by-step walkthrough on how to buy that you will find it useful. The upcoming 1 Feb 2019 SSB offers an average 10 years interest rate of 2.20% (source) with a minimum investment of $500 per bond, which is the highest since its inception in 2015. 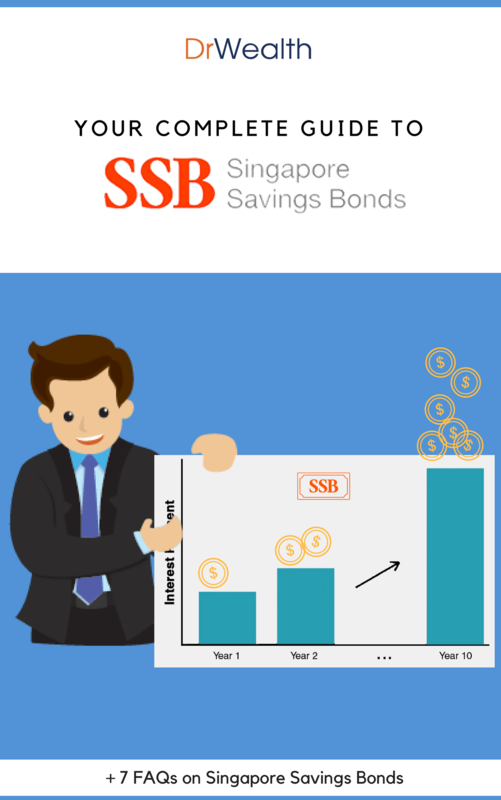 Bonus PDF (+ Latest Updates): ​Download FREE Singapore Savings Bonds Guide with step-by-step directions to investing in SSBs! Why You Should Invest in Singapore Savings Bonds? Singapore Savings Bonds Interest Rate: How Much Can You Earn? How To Buy & Invest In Singapore Savings Bonds? How Much Can I Invest In The Singapore Savings Bonds? Specially structured government securities that were designed to be accessible and suitable for the individual investors. Here's a simple cheat code. Every time you see the word 'Bond', take it as 'Fixed Deposit'. Eg: 'Singapore Savings Bonds' becomes 'Singapore Fixed Deposits'. What are they exactly? Every time the government issues a bond - and when you buy one - it means you're lending the government money. In return, they give you a small interest rate (more on this later) on the money you've lent to them. Think of it being like a one man bank to the Singapore Government. Except in this case, you're not the only 'bank'. Everyone with money can chip in. Launched by the Monetary Authority of Singapore (MAS) in October, 2015, a new Singapore Savings Bond Fixed Deposit will be issued every month for at least the 5 years after its launch. The aim of the Government is to give investors access to long-term interest rate returns with maximum flexibility at zero risk. They are safe, principal-guaranteed investments backed by the triple A credit rating of the Singapore Government. That means zero risk. Unless the government goes bankrupt overnight. they can earn interest linked to long-term SGS rates. We weren't joking when we mentioned that you could treat the Singapore Saving Bonds as a Singapore Savings Fixed Deposit. In this section, we'll look at the similarities between the Singapore Savings Bonds and the familiar Fixed Deposit Accounts. You'll be surprised to see how similar they are. We talked about Bonds should be treated as Fixed Deposits. We've even talked about how it's like being a one man bank to the government. What we haven't talked about is how much interest you get from lending the Government your money. In the case of bonds, the interest rate goes up with each year that you hold the bonds. Which means the longer you lend the government your money, the more interest you get on the money you loaned them. It's like being a loanshark to the government. These are the interest rates for the Jan 2019 Bonds which mature in Jan 2029. As economic conditions changes, banks vary their fixed deposit rates. When the general interest rate environment is high, banks will have to pay more interest to attract depositors to open accounts. And vice versa. Depending on the economy, the interest payable on new fixed deposits accounts varies. The interest payable for SSB also varies. MAS will announce the interest rates payable for each tranche of SSB at the beginning of each month. This fixed rate will be based on the corresponding coupon rate derived from the 10 year Singapore Government Securities (SGS). At the point of writing, the SBS coupon rate has been around 2%. And technically, the SSB should always be paying put a higher interest rate than what you get from banks. Commitment can be rewarding. Especially in Fixed Deposits and the Singapore Savings Bonds. There is one upside to Savings Bonds in 2018/2019 however and that is that you can withdraw your money at any time with no penalties. Once you have committed to a Fixed Deposit, the interest payable remains locked in. Regardless of how the general interest rate environment fluctuates. Let’s say you have committed $10,000 to a Fixed Deposit account at a bank at a rate of 2% for five years. In three year’s time, the interest rate goes down to 1%. Your deposit will still earn you 2% because that has been agreed upon at the start. There is no change to your returns. The SSB works in the same way. Suppose you purchase $10,000 worth of SSB at 3%. Some time after, interest rates fall and hover around the one percent mark. Your holdings on SSB will continue to pay you 3% if you were to hold the SSB to maturity. In that sense, you are not affected by interest rate fluctuations. SSBs are also capital guaranteed. They are backed by the Singapore government. Think of the government as a bank taking in your fixed deposits. In terms of risk, governments are considered generally more secured than banks. Remember that the US government bailed out the US banks in 2007. Not the other way around. If you have enough faith in Singapore banks to leave your money with them, you should have no issues with the stability of the Singapore Government. Unlike stocks, commodities or traditional bonds, the actual value of Fixed Deposits do not fluctuate. The value of your deposit is not dependent on market conditions. Unlike traditional bonds, the Singapore Savings Bond does not fluctuate in value. Not only will you receive the full value at time of maturity, the par value is also fully guaranteed at any time. There is no chance of losing money on the investment. All Fixed Deposits come with a tenure. You go to a bank, hand over the money and agree to have them safe-keep it for you for a fixed period of time. There is a penalty for early withdrawal. If for any reasons you decide to close the account before the tenure is up, the bank will impose a penalty on you and will not pay out the entire interest in full. Depending on the time period, the bank may pro-rate your interest payouts according to a pre-determined formula. The SSB also comes with a tenure. In this case, it is 10 years. If you choose to sell the SSB before the 10 year tenure is up, the coupon payments you receive up till that point will be lesser than if you have held the SSB to maturity. Think of it as an incentive to stay for the full length of time. You will only reap the entire benefits of the SSB if you hold it till the end. 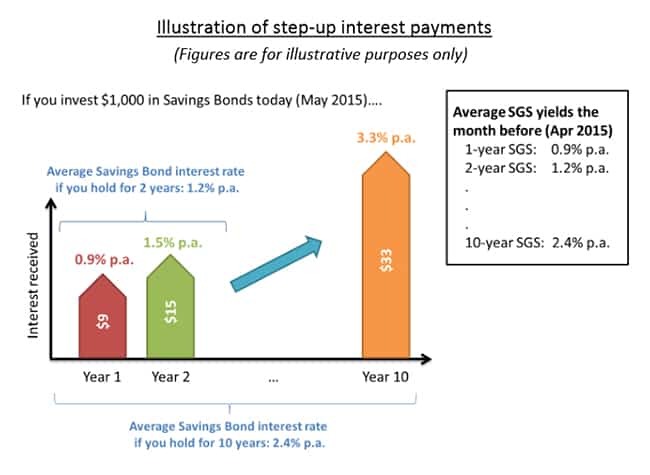 MAS chooses to explain this via a step up interest illustration (as shown in the interest rate section above). The idea is the same – you reap the full benefits of the SSB if you stay invested for the entire tenure. We hope you are convinced of their similarities. The Singapore Savings Bond is a fantastic instrument like no others. It offers higher returns (compared to fixed deposit) with lower risks. The bonds are capital guaranteed, fully liquid and the transaction cost is negligible. Think of them like a fixed deposit account on steroids. The more informed investor would be inclined to compare the Singapore Savings Bonds to its closest relative instead of fixed deposits. This section was created for you. SSB is a subset of SGS. SSB is not totally new. But because the SSB is a new product, for the sake of this section we will be comparing the SSB against its 'predecessors' - the Singapore Government Bonds and Singapore Treasury Bills (T-Bills). 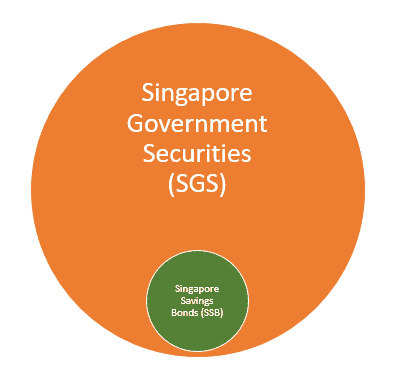 We summarised 8 key differences that you should know when you are considering your investing options in the Singapore Government Securities. There are actually quite a few differences, as listed in the table above, but here are some key differences you should take note of. Firstly, the SGS are tradable and your capital is not guaranteed like with the SSB. 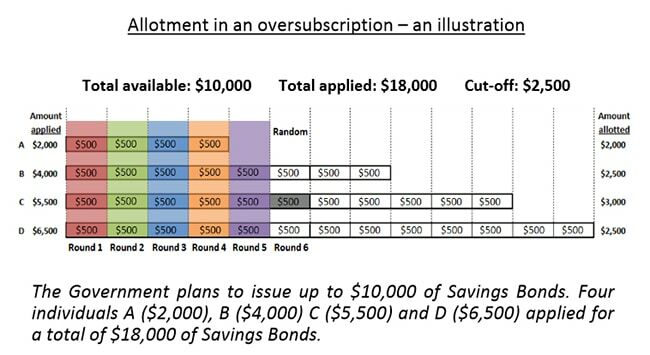 Secondly, the SGS have a minimum investment sum of $1,000, which is higher than the $500 minimum sum for SSB. And thirdly, the target audience is different – SGS bonds are designed to meet organisations’ needs for a risk-free asset in their portfolios, whereas SSB are designed to meet the needs of retail investors like us. The unique selling point about the SSB is its flexibility. Unlike conventional bonds where investors receive the short end of the stick if they redeem the bonds early, the SSB has no lock-in restrictions. Although each SSB has a maturity term of 10 years, you can redeem your bonds at any time before maturity. Even if you redeem the bond early, you still get to keep the interest paid out at six-monthly intervals. The bond tenor is 10 years, but because you can get your money back at any time with no penalty, you do not have to decide about the duration of your investment upfront. Obviously, the longer you invest, the better the yield. The question is, do you have the patience to sit on your SSB for the full 10 years? Interest on the SSB will be linked to long-term SGS rates. 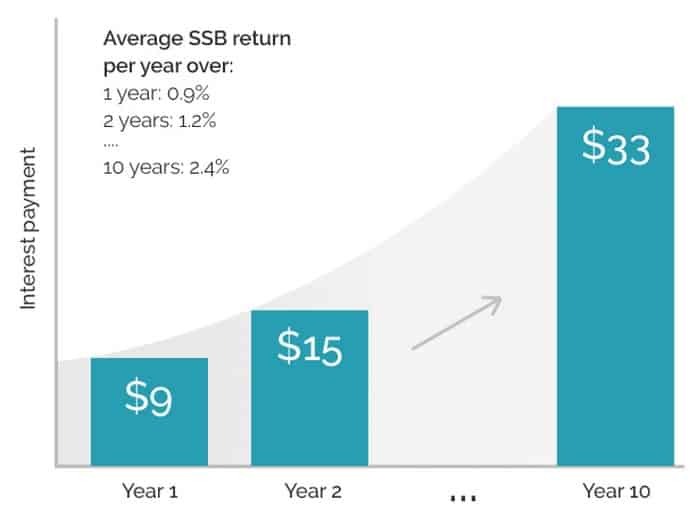 This means that the average interest you receive over the period you hold the SSB will match what you would have received had you bought an SGS bond of equivalent tenor. 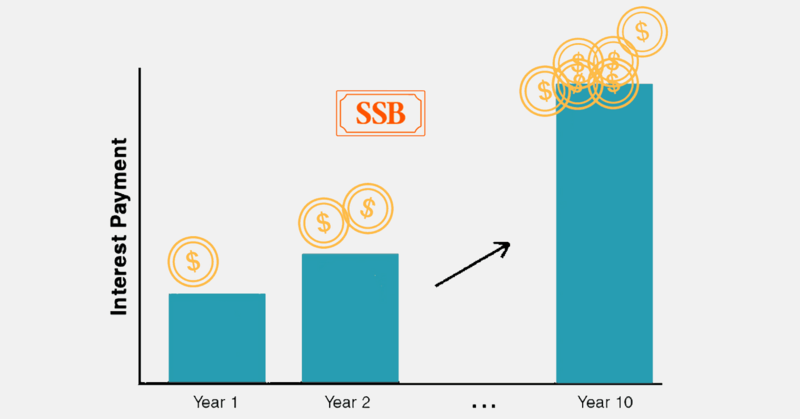 The key difference is, while SGS bonds pay the same interest every year, the SSB offer “step-up” rates, meaning that interest payment will increase the longer you hold your bonds. Just to give you an idea of how much to expect: the 10-year SGS has mostly yielded between to 2 to 3% over the past 10 years, with the current yield being 2.4%. Assuming a S$10,000 investment, this gives an average interest of $240 a year or $20 a month, over 10 years. Financial adviser Wilfred Ling has done an interesting analysis on the projected yield percentages, arguing that the realised return for the SSB is actually slightly lower than that for the SGS. If we go according to his figures, here’s how much your investments would work out to over the long run. If you think about it, the SSB’s interest rates aren’t bad, if you’re a conservative investor. Sure, they’re lower than that of long-term CPF funds, but at least they’re higher than that of short-term fixed deposits and savings accounts. If you’re looking for somewhere to park your savings (under $100,000), forget about the banks and go for the SSB instead. An individual (not joint) CDP Securities account with Direct Crediting Service activated. Note that you must be at least 18 years old to open an individual CDP Securities account. A new SSB will be issued every month for at least the next five years. The application window for each SSB issue will open on the first business day of each month and close four business days before the end of the month. You can apply through any participating bank’s ATMs, or via DBS/POSB’s internet banking channels. Application requests must be made in multiples of $500. Bank charges may apply. Note that you can purchase SSB only using cash, at least for the time being. In future, the Government may consider allowing people to use their CPF savings and Supplementary Retirement Scheme (SRS) funds to buy SSB. The success of your application depends on the demand for the SSB in that particular tranche. The issuance size for each SSB tranche will be announced before application opens. If the demand exceeds the amount on offer in a particular month, MAS will allocate the bonds to maximise the number of successful applicants. If you read between the lines, you’ll realise this means smaller applications stand a higher chance of being fully allotted. If your application is successful, you will be notified by CDP via mail of the amount of SSB credited to your account. Application results will also be announced three business days before the end of the month. The redemption process is similar to the application process – submit your request through any participating bank’s ATMs, or via DBS/POSB’s internet banking channels. You will get your cash (along with any accrued interest) back in the bank account linked to your CDP Securities account. Do note, however, that redemption proceeds will only be processed by the second business day of the next month. So don’t invest your entire nest egg in the SSB; you should still keep a portion of emergency funds separately in case you need them urgently. The minimum sum is $500 and the maximum sum is $100,000. In other words, you can only hold up to $100,000 worth of SSB at any one time. You can top-up in multiples of $500 and apply for up to $50,000 on any single bond issue. Yes, there is a quota imposed, but it’s a far more generous cap than what many of us were expecting. This cap should be sufficient to meet the needs of most Singaporeans, as more than 90% of individual bank deposit accounts have balances of $100,000 or lower. The SSB’s pre-set coupon rate is good news if you’re an astute investor, because you’ll be able to decide whether to participate based on last month’s yield compared to current yields. If the 10-year SGS yield is higher than the prior month’s where the SSB would be issued at, buy the 10-year SGS. If the yields collapse by, say, 0.32%, you would have made 0.2% (cross the 0.12% bid offer spread on the SGX). This would translate to around 2% returns. Cash out the SGS and buy the SSB, which has no capital downside but pays interest. When the SGS yields rise again, cash out the SSB and buy the SGS. If not, hold on to the SSB till another opportunity arises. It's a rather 'active' trading strategy, but if done religiously over time could bring some significant returns. Due to the amount of work and complications in the execution of the strategy above, most busy investors would not find it sustainable. Instead, the following strategy may be more sound. Endowments are attractive in that they provide a hope for greater returns through their 'non-guaranteed' returns. We don't have the exact numbers, but often times the non-guaranteed returns are not returned to us. So, instead of placing your money in endowment and having a tiny portion of it eaten up by the fund managers, why not just purchase into the SSB regularly. Purchase a fixed amount of SSB every quarter or half yearly. Hold them over 10 years. Start receiving payouts every quarter or half yearly once they mature. There are limitations to this strategy as well. Depending on the uptake and response, the frequency of new SSB tranches may change. This means that if the government decides to only release SSBs annually 5 years later, you might need to readjust and reconsider the pros and cons. There is a maximum individual holding limit of $100,000. This means that you can only own $100,000 worth of SSB at any one time. In our opinion, the Singapore Government has created the most perfect financial product ever (for the lazy investor and the non-investor who wants their savings to grow). Such an instrument will never exist in the free market. Unless you consider the need to activate the Direct Crediting Service in your CDP account as 'work', its like having the option to unlock free returns. Unfortunately, bonds tend to be highly misunderstood and hence shunned by many investors. Because of that, the take up rate for the Singapore Savings Bond will likely remain low among retail investors in Singapore. We hope that by changing your perspective, you are able to see that despite the name, the Singapore Savings Bond has more features of a Fixed Deposit rather than a Bond. And that it isn't as intimidating as it's name. With that in mind, we hope more will explore and subscribe to the offering. Which other countries offer a product similar to SSB? Comparatively, what’s their interest rates & exit t&c ? SSB is quite unique to Singapore. I am not aware any countries offer that. It is a hybrid between a bond and fixed deposit. When is a good time to buy the bonds? is it when it is first offered at the start of the month? will the price of bonds increase thereafter for the remainder of the month? The price of the Singapore Savings Bonds will not change. I may be asking a silly question, but when redemptions are made, is it only allowed in full? Or partial redemptions are also allowed? You can. In multiples of S$500. Hi, may I know what’s the difference btw interest n average returns? For e.g., the interest rate you see, say 2% for a Singapore Savings Bonds, it is an average number if you hold it for 10 years. But year 1 you don’t get 2%. Maybe 0.1%. Then year 2 is 0.5%. for e.g. The Singapore Savings Bonds stop up its interest each year. So your average returns over 10 years is 2%. But if you sell it earlier, your average returns would be lower, not 2%. The article mentions that the higher amount I apply, the lower the chance of my SSB application being accepted? So if I were to apply $50,000 for the SSB application, what are the odds of my application being accepted? And if my application got accepted but with the “cut-off” amount of eg. $2500, what happens to the remaining amount? The supply is currently more than demand. Hence you should not have a problem not filling. If indeed you can’t be filled, the remaining funds would be returned to your bank account. I want to change my tranche due to higher rates in the latest tranche. My limit is full already. Can I redeem first my older tranche then apply back 15 mins later on the same day for new tranche in order not to lose one month interest ? Thanks in advance. a) How to find out the amount of interest rate of each month ? b) What is the interest rate if I start to subscribe SSB for Feb 2018 ? Should we only apply for bonds at the end of the month instead of the start of the month? Since the bonds only issued in the start of next month. No point applying at start of month and lose 1 month of interest in bank account? Correct? Or is it the time start when you pay the money? 20 pages filled with actionable tips and resources that allow you to take advantage of one of the safest bonds in town. Covers everything. From HOW to buy Singapore Savings Bonds, to alternative SSB investing strategies. + why you should invest in SSB over other bonds, and MORE!